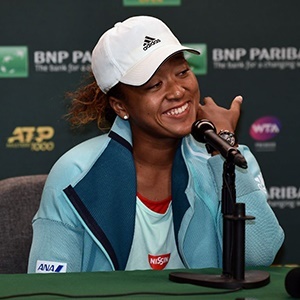 Cape Town - World No 1 Naomi Osaka has acquired the services of a high-powered New York lawyer to fight a lawsuit from a disgruntled former coach. Osaka hit the headlines earlier this year by suddenly splitting with coach Sascha Bajin, but this challenge has actually been launched by Christophe Jean, who coached Osaka and her sister Mari as teenagers. The Sun Sentinel claims a contract was signed between Jean and Osaka’s father in 2012 which entitles Jean to 20% of the Osaka sisters’ prize money and endorsement income for an ‘indefinite period’. “I didn’t want to do this, but the last time I talked with Max (Osaka's father) he told me to go get a lawyer,” Jean, who is claiming around $2 million in compensation, told the Sun Sentinel. In response, Osaka has turned to Alex Spiro, who has already grabbed headlines representing the likes of Jay-Z and former NFL player Aaron Hernandez. “While it comes as no surprise that Naomi’s meteoric rise as an international icon and inspiration would lead to some false claim, this silly ‘contract’ that Naomi never saw or signed - which purports to give away part of herself at the age of 14 - is particularly absurd,” Spiro said in a statement.